The Amazon Web Services (AWS) Free Tier is designed to enable you to get hands-on experience with AWS Cloud Services. As described in previous post, you can use various AWS services for free with limited usage. Now enter you email-id and select “I am a new user”. 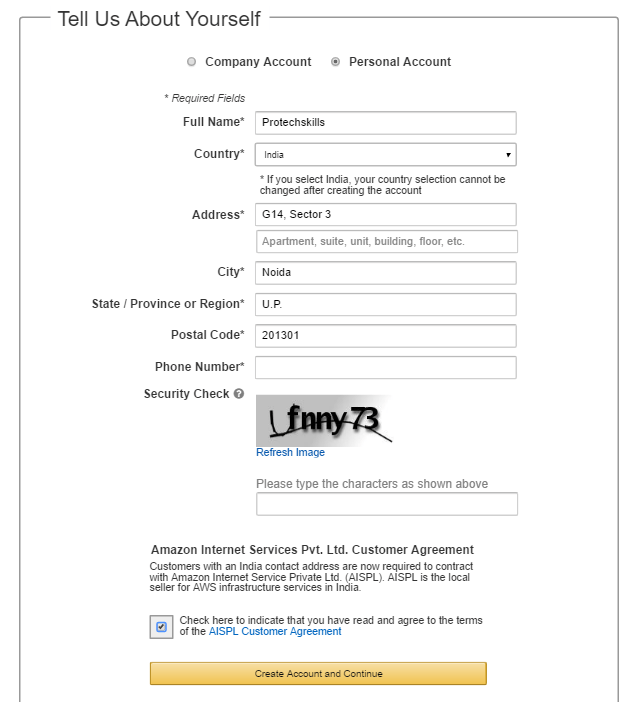 Now fill the the form with relevant details to complete the sign-up process. Next fill your debit or credit card details. Preferably use your debit card if you are going to use this account for learning purpose. NOTE: Don’t hesitate to give card details. 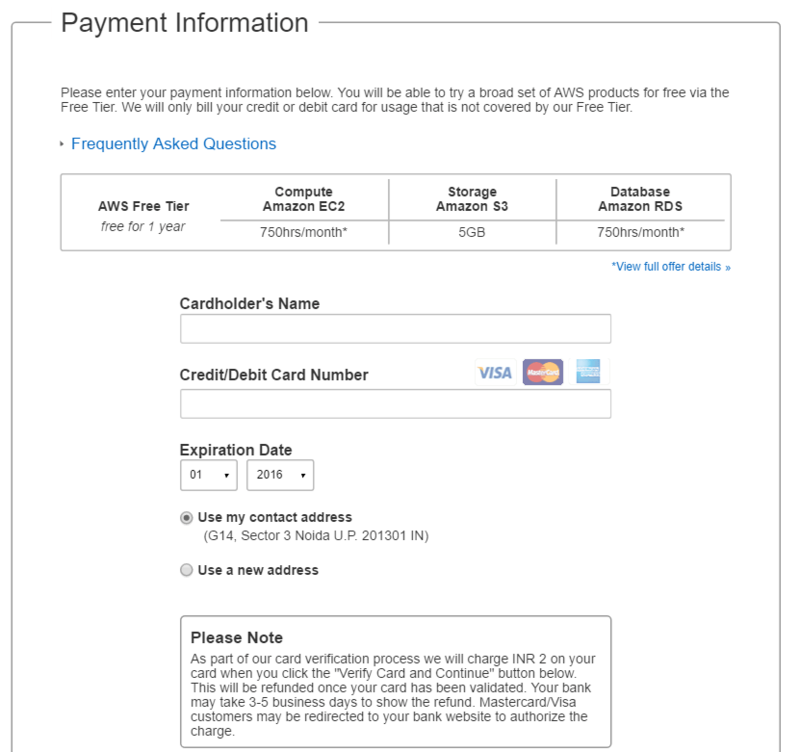 It will deduct very small amount (Only 2 INR/- ) to just verify your card and same will refunded to you within one week. So its totally FREE. Next verify your phone number. 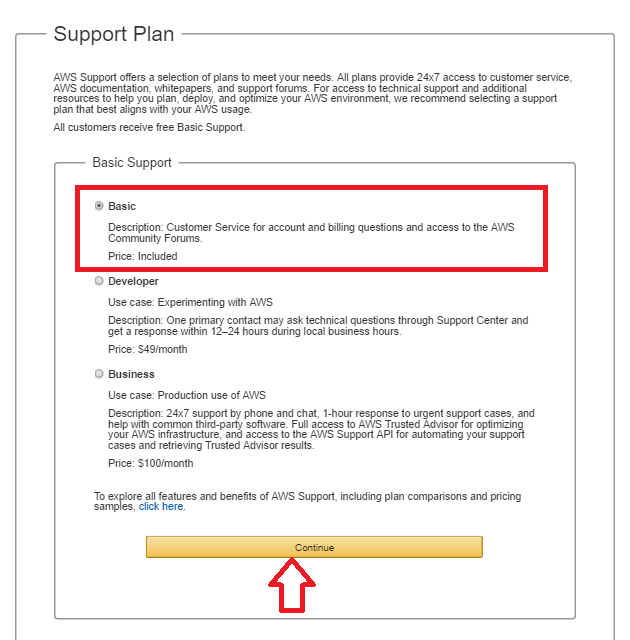 Next select support plan “Basic” and click on “continue” button as shown in below image. Congrats!! 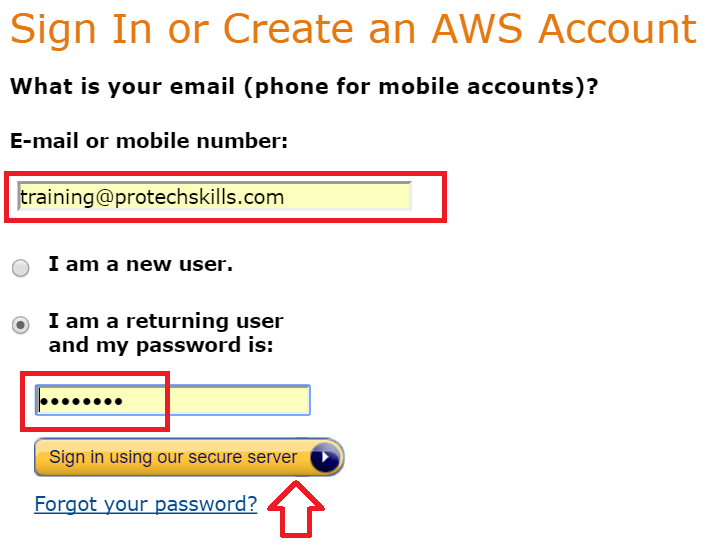 Now you have created free AWS account. 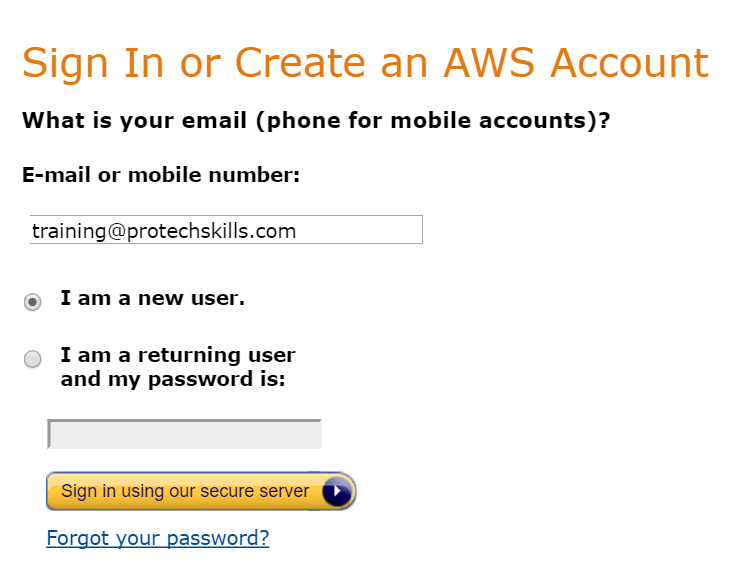 To login into AWS console, go to “Sign In” page and enter your credentials. 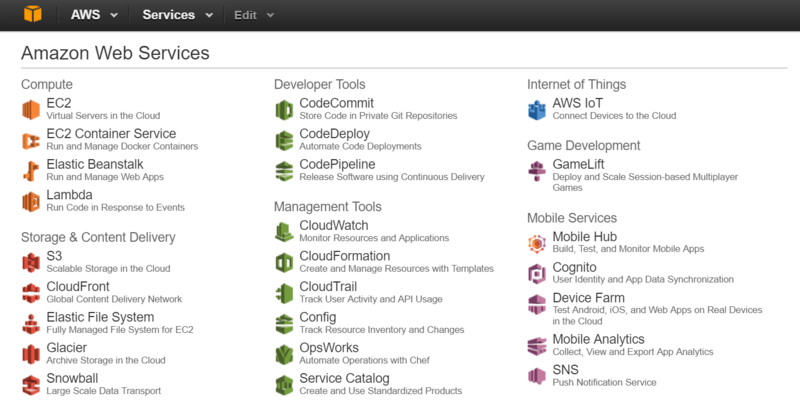 This entry was posted in Cloud Computing and tagged AWS, Cloud Computing, Free account on AWS, Free instance on AWS. Bookmark the permalink.